Acors and Griffith services heat pumps in Henrico VA as well as furnaces and air conditioners. 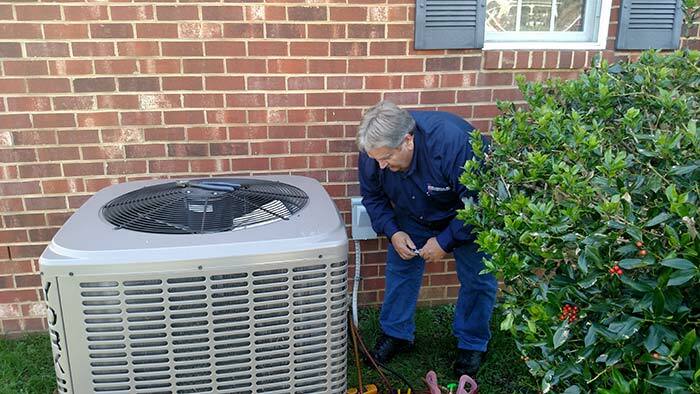 Whether you live in Short Pump, the West End, Glen Allen, Varina, Highland Springs, Sandston or anywhere else in beautiful Henrico, we are glad to service your HVAC system, or install a new HVAC system if needed. Our Acors and Griffith office is conveniently located in Eastern Henrico and we're never too far away from you! Acors & Griffith, Inc. Heating & Air Conditioning is proud to offer you the most cost-effective HVAC repairs and installations for your Henrico home. Contact us to come and check out your system to ensure it is working properly. Ask about one of our Service Contract Plans. Our HVAC company, Acors & Griffith, Inc. Heating & Air Conditioning in Henrico, Virginia, specializes in service and installation of most central heating and air conditioning models. Additionally, we handle the installation of high-efficiency air cleaners, attic fans, and humidifiers.